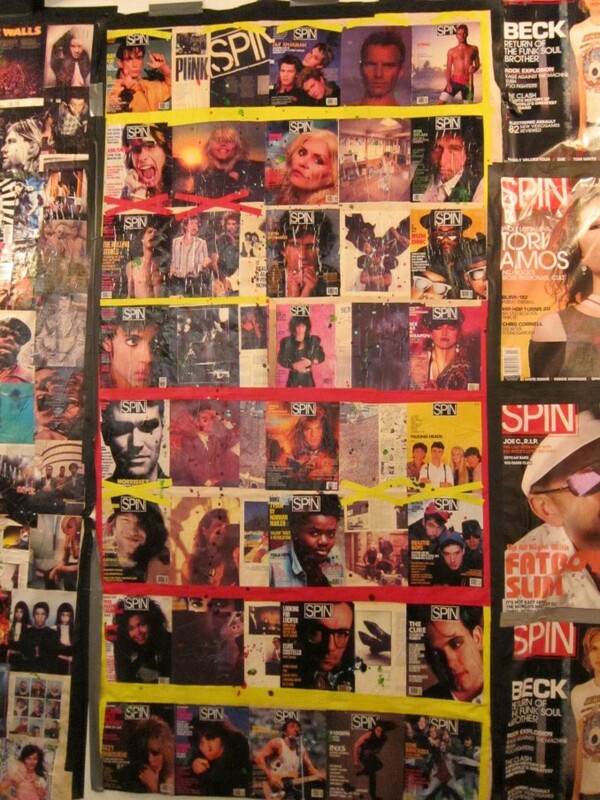 Behind the SPIN 25 Super Collage! 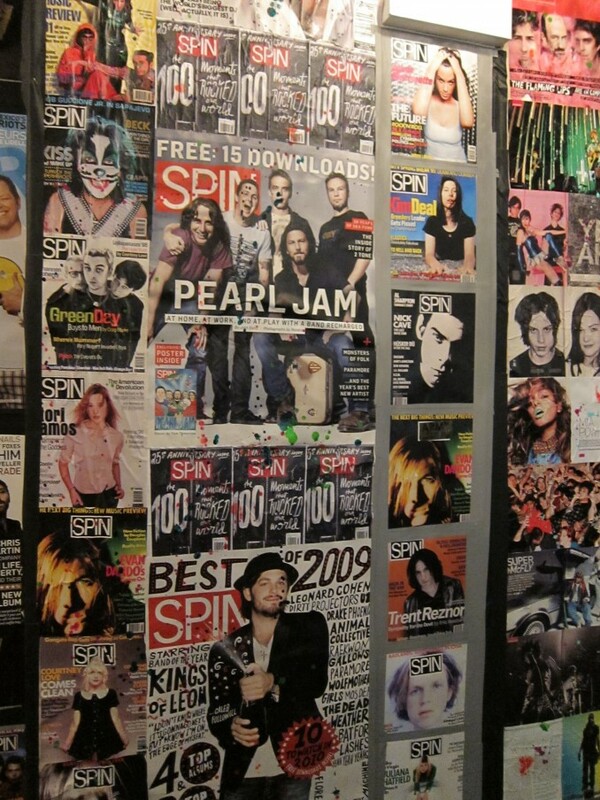 Last week, SPIN celebrated its 25th anniversary with a series of five concerts held in NYC, with a little help from American Express sponsor, ZYNC. 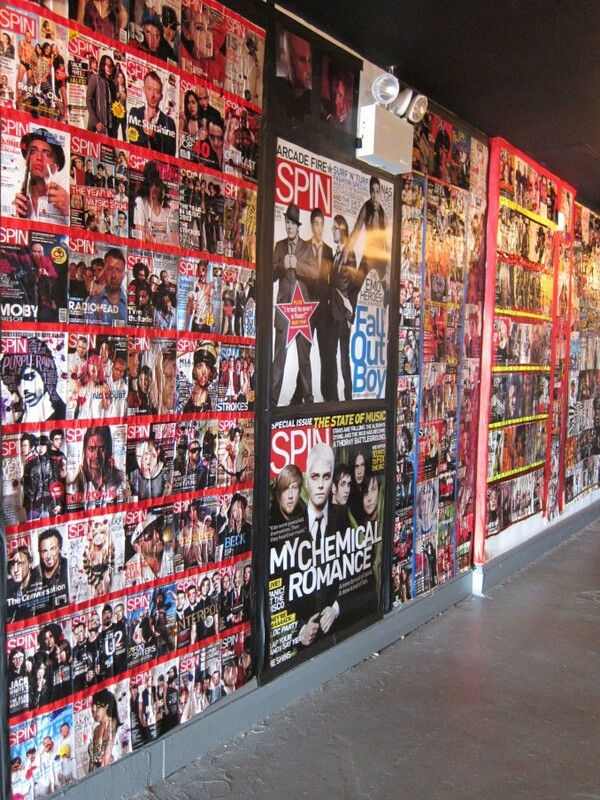 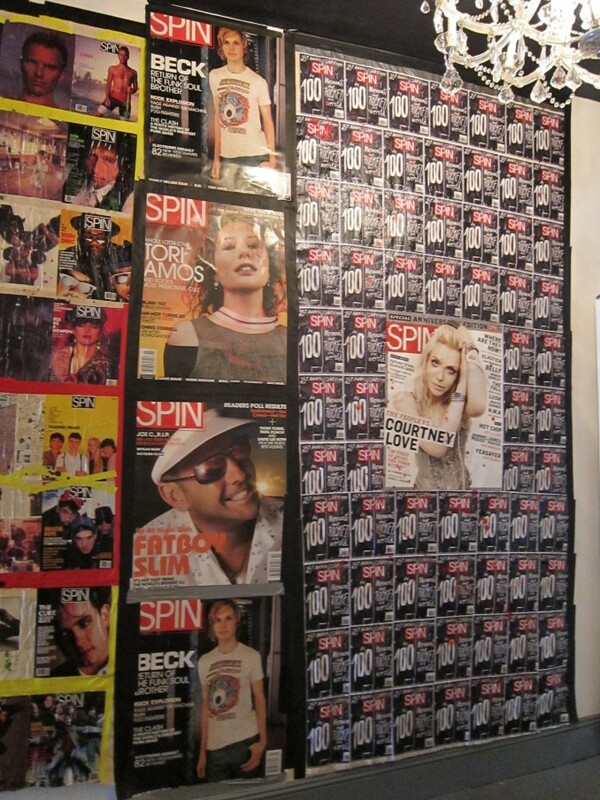 To commemorate the magazine’s 25th birthday, SPIN commissioned Sky Farrell (viciousskylicious.com) to create a 100-foot collage of SPIN covers and photos to hang in the entrance-way of Terminal 5, which hosted four of the five gigs. 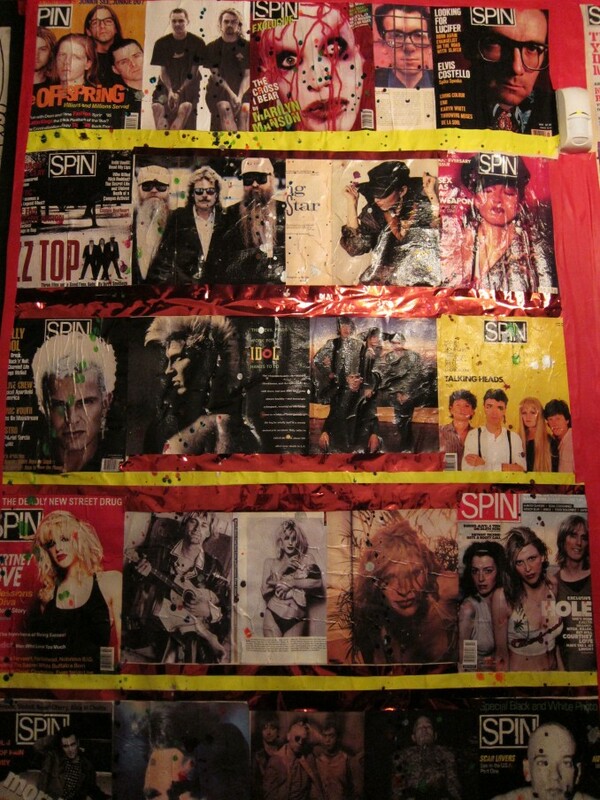 Here, the artist talks about how it all came together. 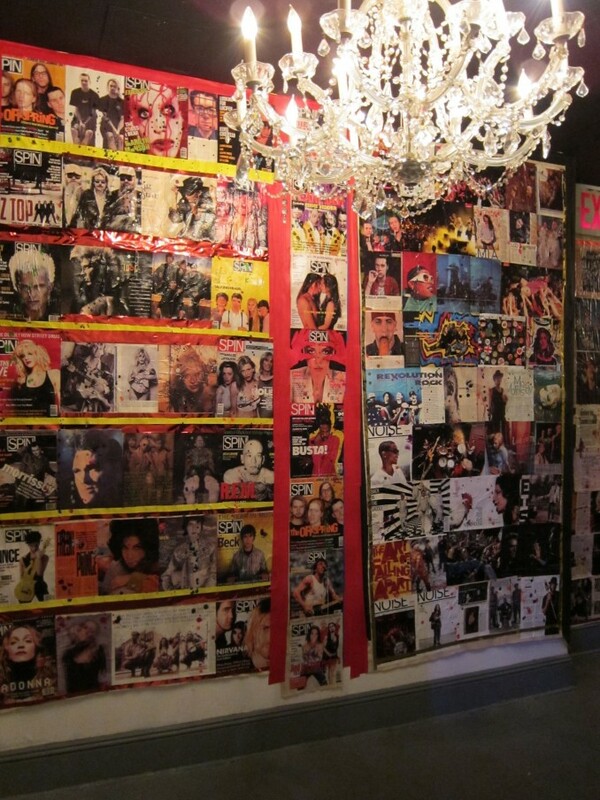 I worked on creating this installation for the last 2 weeks... 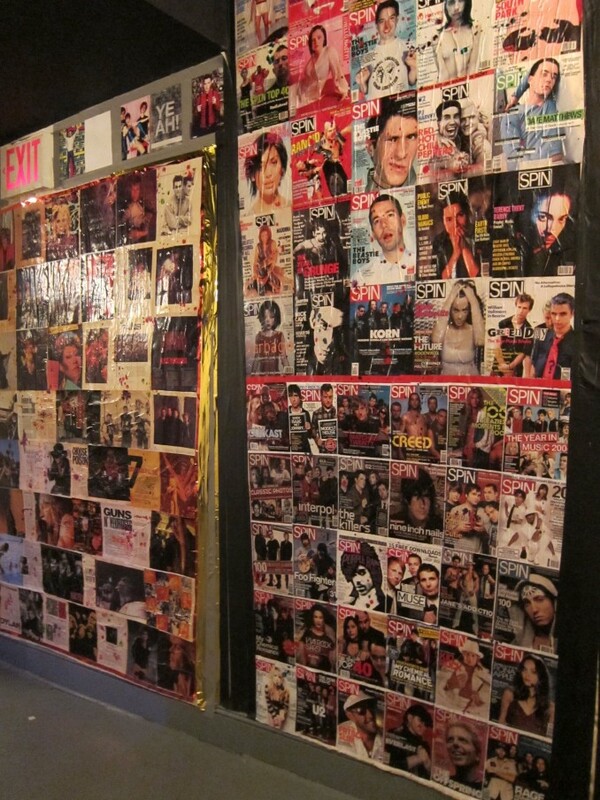 Using 25 years of the famed Music Magazines archives... 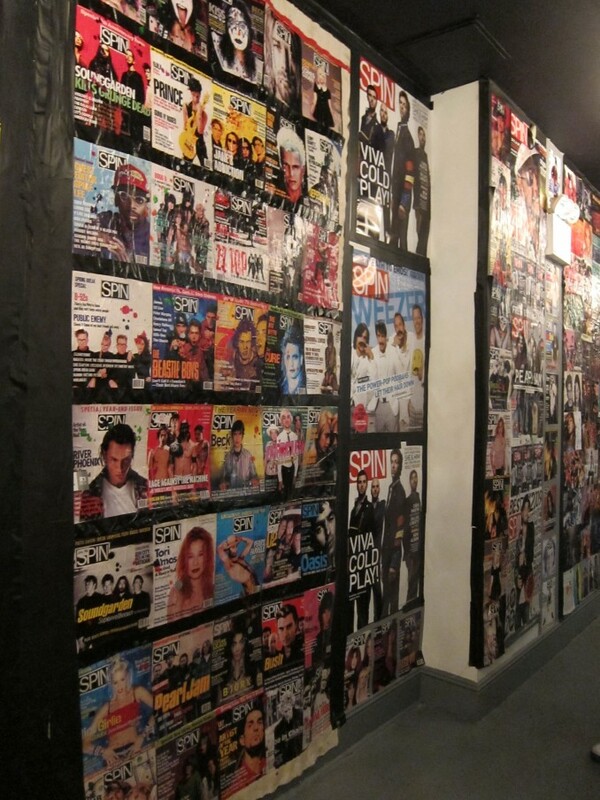 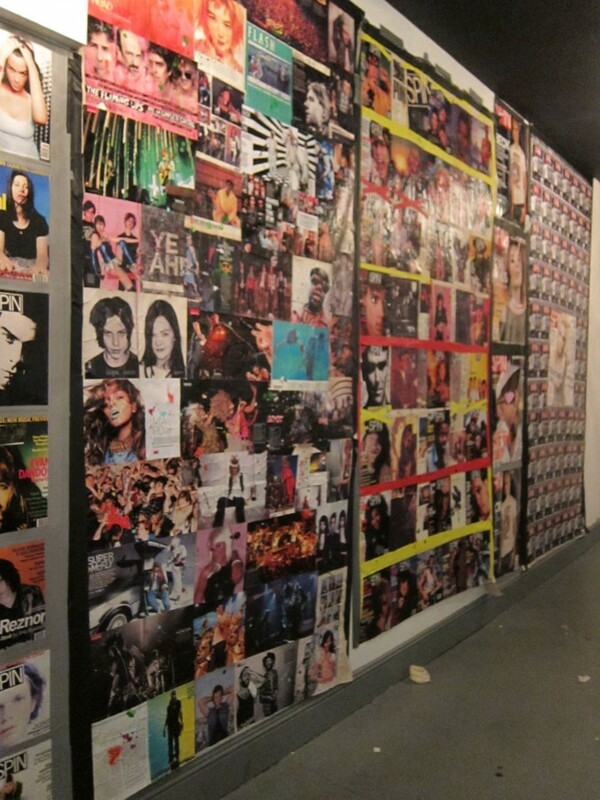 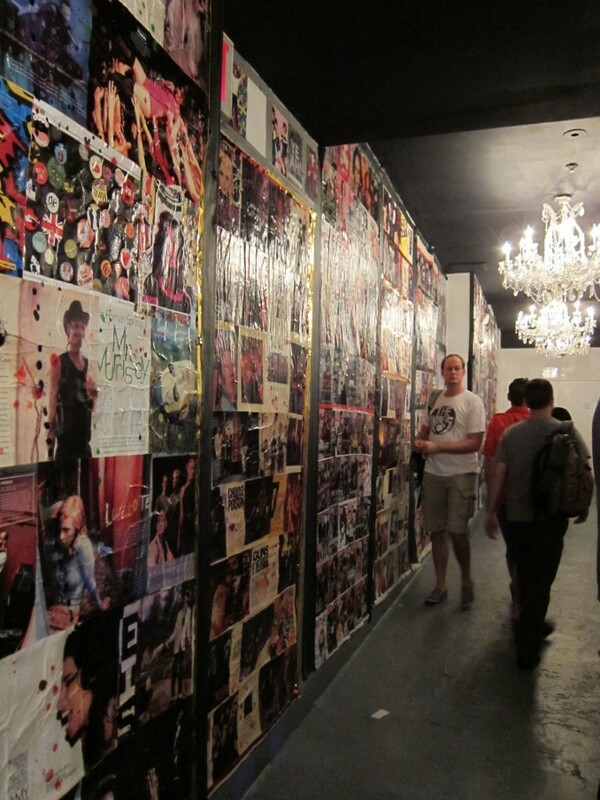 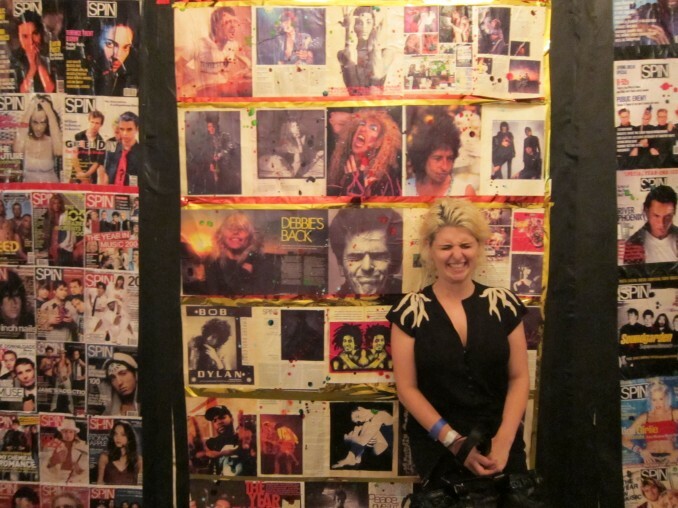 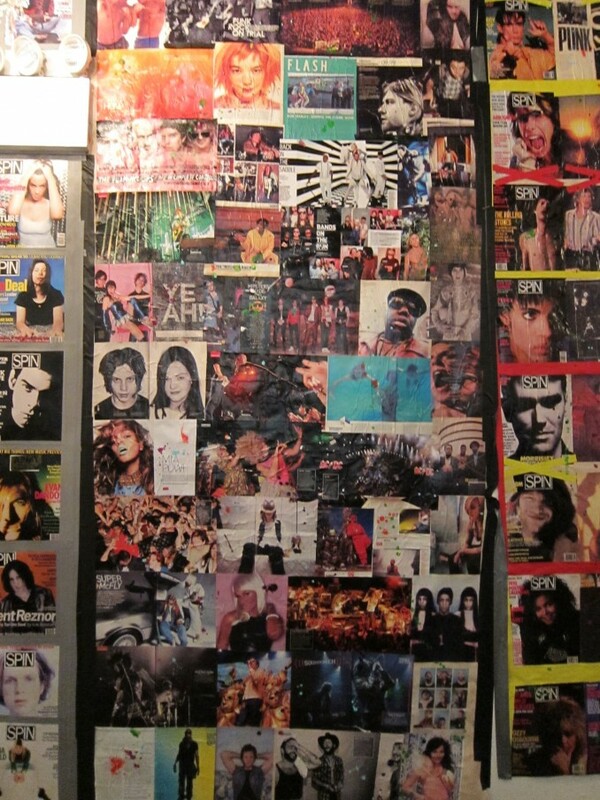 Merging my collaging talent with my passion for music I created this nearly 100 ft long wall. 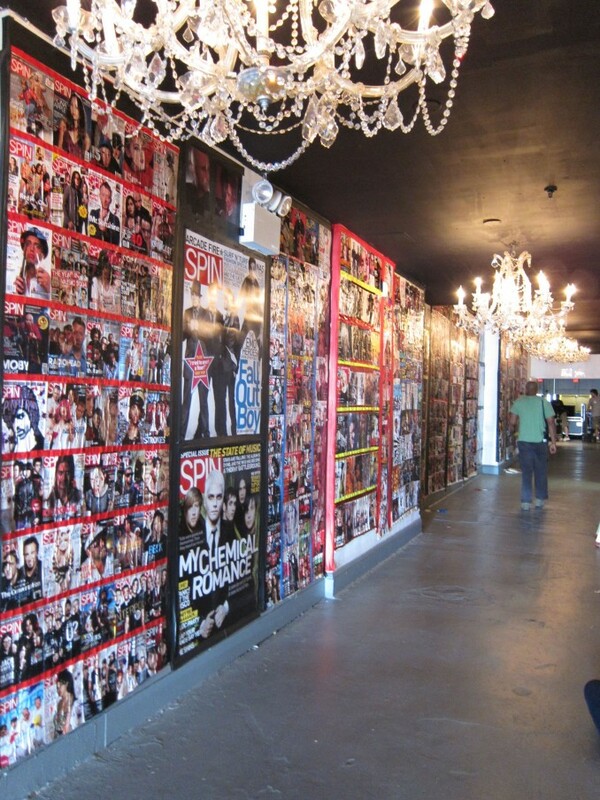 It was truly a great project to work on, and even better to see come to life at Manhattan' s Terminal 5 Concert Space where the 5 night concert celebrations took place.